Every single person reading this blog would (I hope) know the name “Gutenberg.” Right? Now here’s another major name in the printing world, perhaps not known by everyone… William Caxton. Maybe you know him, maybe you don’t. We aren’t here to judge your knowledge of the printing business. We’re just here to educate you! So sit back, relax, and learn something new. 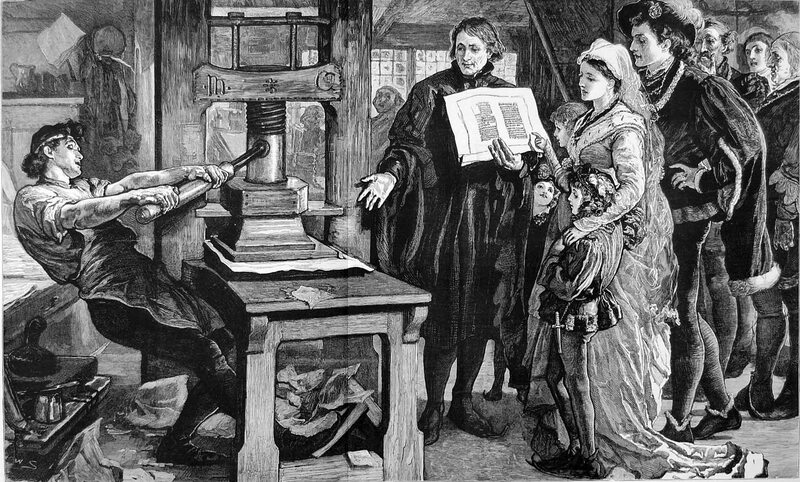 After his success with the printing in Bruge, Caxton brought his art back to England in 1476 and set up the country’s first ever press in a section of the Westminster Abbey Church. The first book printed in England itself was an edition of Chaucer’s The Canterbury Tales. Other early titles printed by Caxton included Dictes or Sayengis of the Philosophres translated by the king’s brother in law Earl Rivers, and Caxton’s own translations of the Golden Legend in 1483 and The Book of the Knight in the Tower. Caxton also printed the first ever English translation of Ovid’s Metamorphoses, as well as Le Morte d’Arthur. 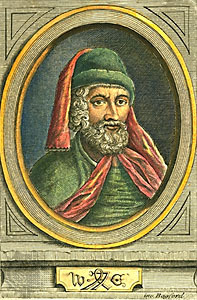 Caxton’s death is recognized as taking place in 1491 or 1492, as that is when his work stopped being produced. He was succeeded by his Dutch employee Wynkyn de Worde, who is recognized for moving the printing of books in English away from an excitement enjoyed by the aristocrazy and nobility and toward the idea of printing for the masses. De Worde is often known as “England’s first typographer” and printed over 400 books in over 800 editions. 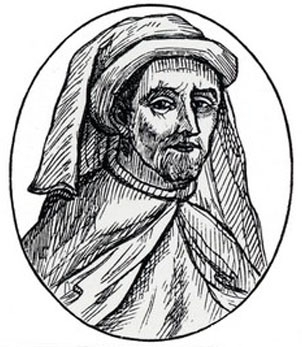 Caxton, god bless him, printed 108 books of 87 different titles. 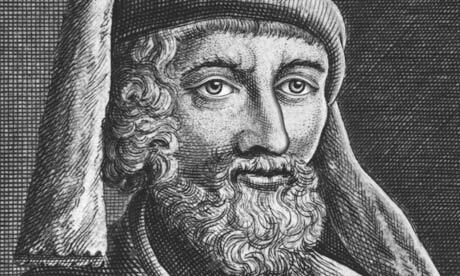 However, Caxton did much of his translating himself, working on an honest desire to provide the best translation possible to his customers. Despite the fact that de Worde is known for standardizing the English language (as there were, at that time, so many different dialects and different spellings that it was often difficult to keep track), Caxton is absolutely also honored for beginning this process and though printing books of no remarkable or significant beauty, then at least for beginning the process of printing books in English at all! This entry was posted in Antiquarian Books, History, Uncategorized on August 9, 2017 by tavistock_books.